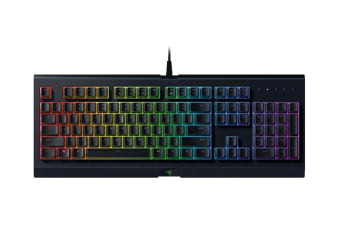 The Razer Cynosa Chroma Multi-colour Membrane Gaming Keyboard boasts all-round gaming performance with individually backlit keys, so you have more room for customisation. 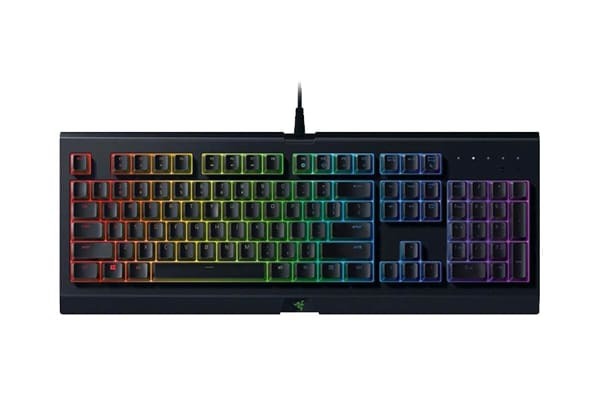 The Razer Cynosa Chroma features individually programmable backlit keys and 16.8 million colour options. Choose from preloaded lighting effects or create your own unique palette of colours for a gaming experience that’s truly yours, all set easily through Razer Synapse 3 (Beta). 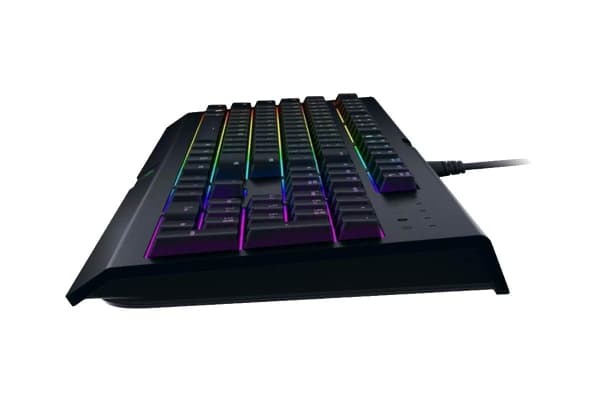 Featuring Razer Chroma underglow with 22 customisation zones on the left, right and front of the keyboard, you have even more ways to illuminate your gameplay and watch your keyboard come to life. Soft cushioned gaming keys provide comfort with better housing support, so every keypress is solid. With each stroke, experience full key travel and responsiveness so you can be assured of striking with deadly precision no matter what game you play. A keyboard that’s uniquely yours! With Razer Synapse 3 (Beta), you can rebind buttons, assign macros, personalise device lighting and more to transform your gameplay just the way you want it. There’s no limit to what this unified hardware configuration tool can do, so get personal.